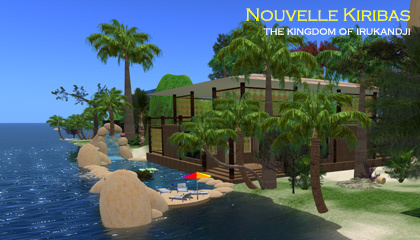 NOTE: This page is about Nouvelle Kiribas in InWorldz. 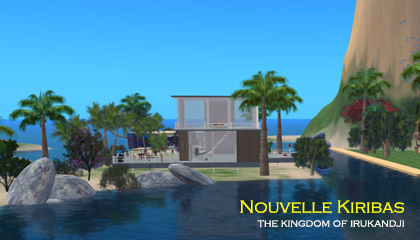 The Second Life version is here: Nouvelle Kiribas in Second Life. 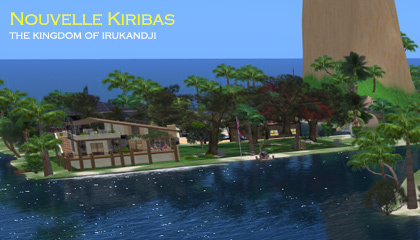 The simulator, Nouvelle Kiribas is a residential region on the InWorldz virtual world, located in Tamita State in central Irukandji. This is the second incarnation of Nouvelle Kiribas, following on the history and traditions of the previous sim from 2007 in Second Life. I used the earlier version as the terrain template, then morphed it considerably to suit the new grid, however the central mountain remained. 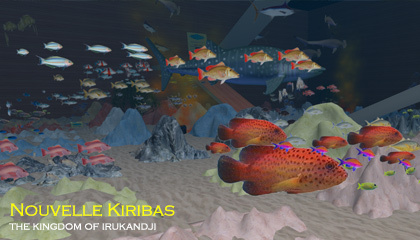 Nouvelle Kiribas was connected to the rest of the Irukandji islands via the Inter Island Causeway, which ran underwater from Tamita Bay. The Maskari River ran through the Nouvelle Kiribas from Baie de l'Amore in the east to Tamita Bay in the south. 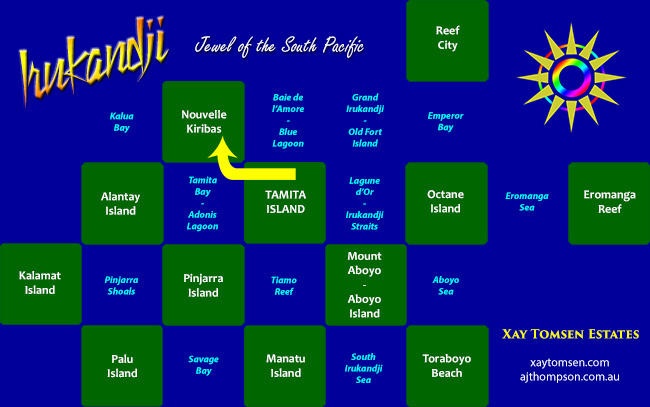 A junction forked off to the west to Kalua Bay. Regions that neighboured Nouvelle Kiribas, clockwise from east, were Baie de l'Amore (later Blue Lagoon), Tamita Island, Tamita Bay (later Adonis Lagoon), Alantay Island, and Kalua Bay. 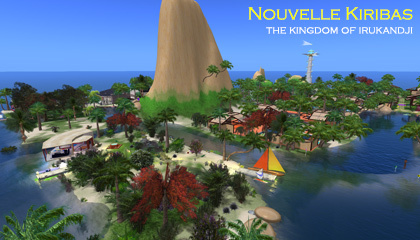 During its eighteen months on the InWorldz grid, Nouvelle Kiribas was very popular and well tenanted throughout by Australian and US residents. 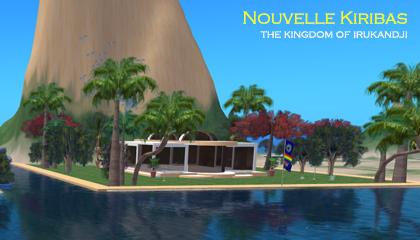 Below you will find some photographs of Nouvelle Kiribas from my time on InWorldz. To explore more of the Irukandji continent, check out the main Islands of Irukandji page. © Andrew Thompson, Rockhampton Australia.